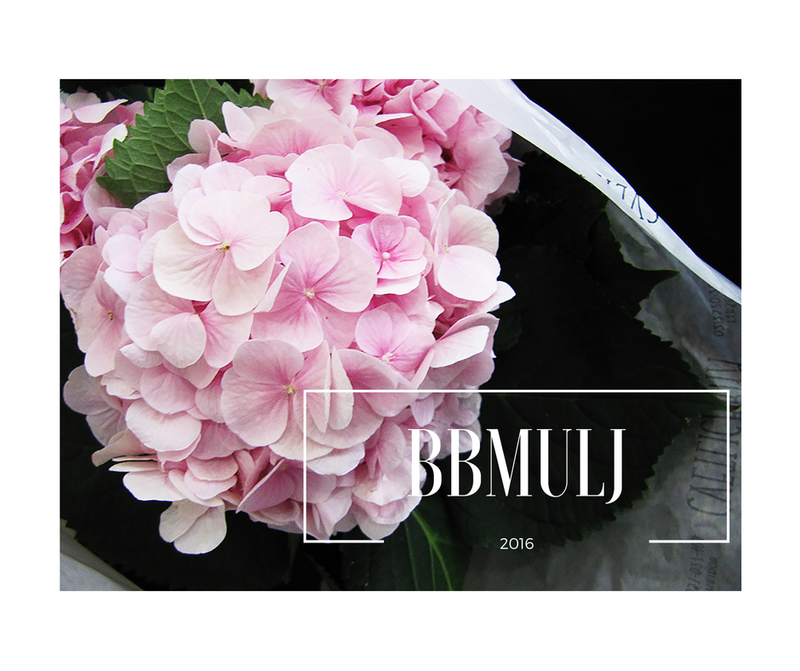 BBMULJ 2016 - Cherry Colors - Cosmetics Heaven! Nika Veger is the "mother of beauty bloggers" when it comes to equipping us with useful knowledge and contacts. And as last year, this year she organized the 2nd BBMU (Beautiful Bloggers Meet Up). Here are some of my impressions about the event on which I didn't stay until the end. I am regretful about it, but I am sure that next year, I'll stick to the end ;). So it began, BBMULJ 2016. We meet at the Hotel Lev in Ljubljana where we chatted before we were greeted by Nika and the staff at the event. 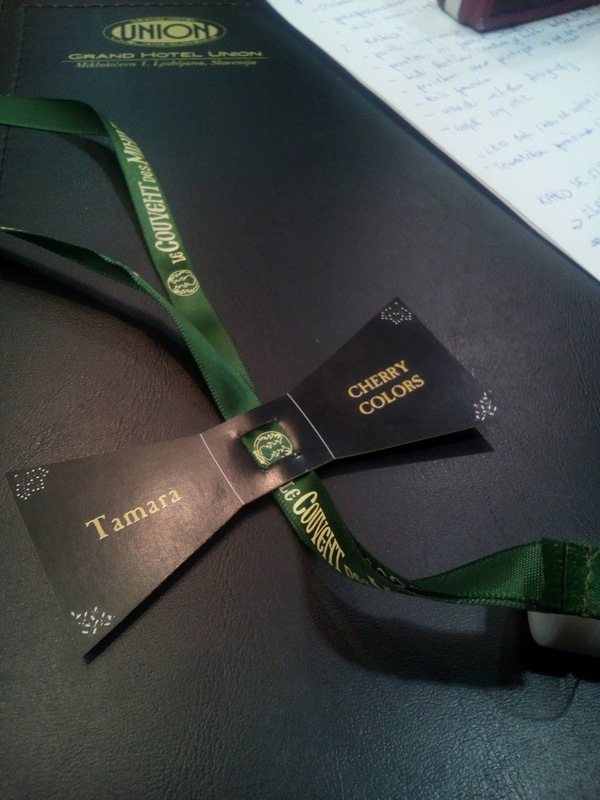 Each of us was given a name tag with a small Le Couvent Des Minimes hand cream which did come handy later on. The lectures were really great and I learned a lot about the topics they covered. We learned some basics about SEO, Facebook Marketing, all about engaging the audience and more. Right before I had to do there was an introduction about Dvorec Trebnik and a round table about Instagram. 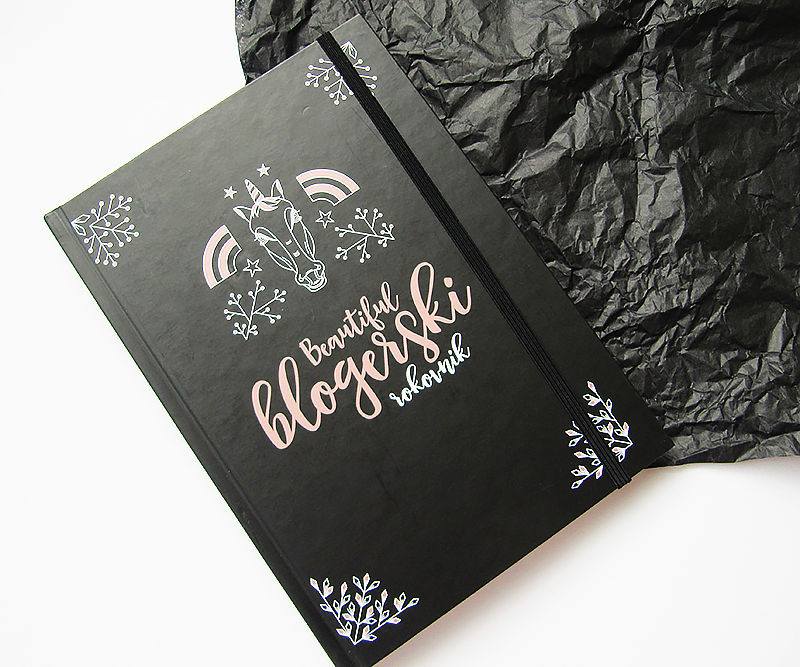 Each one of us got a great tool - a blogger planner which is something I always dreamed of owning. Now I do and it's beautiful! No more excuses :3. In between the lectures we got a quick lunch break + the beauty Pop-up. What is it, you may ask yourself? Well, it was a place where we could mingle with other bloggers and sponsors. Oh, and by the way, the snacks were delicious. The phone cameras sharp (just not mine, haha) and smiles were all around. The brands were well known to bloggers, except for Honor (sister brand of Huawei). I didn't expect them to be there, but then their phones are amazing. We learned, we ate, we had fun. The lectures were fantastic, the food was good and the company great. I saw a couple of new bloggers but didn't manage to say hello to all of them (so hello girls), but I did get to meet some ladies whose blogs I am already following. I realized that there's a long way to go and many things to learn which I am aiming to achieve in the next year. Before I went home I got a buggy (shopping bag with wheels) from Nika - thank you - which was filled to the brim wit sponsored products. I know that we all love to look at pretty things, so here's a gallery of them all. One of the products was sponsored by L'Occitane, which I already talked about.